Hello, ZI fans. Are you ready to get your paws on another entry of our weekly Caption Contest? Despite Breath of the Wild releasing over half a year at this point, I am still finding myself surprised by little things hidden in the game by the developers. 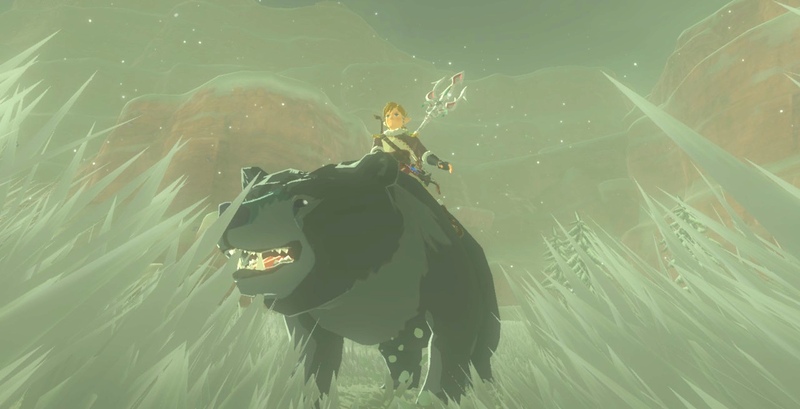 For example, did you know that Link could ride a bear? That’s right! A freaking bear! How cool is that?! Bolson used interpretive dance to explain why he won’t leave Link’s yard. Let the bear puns commence.